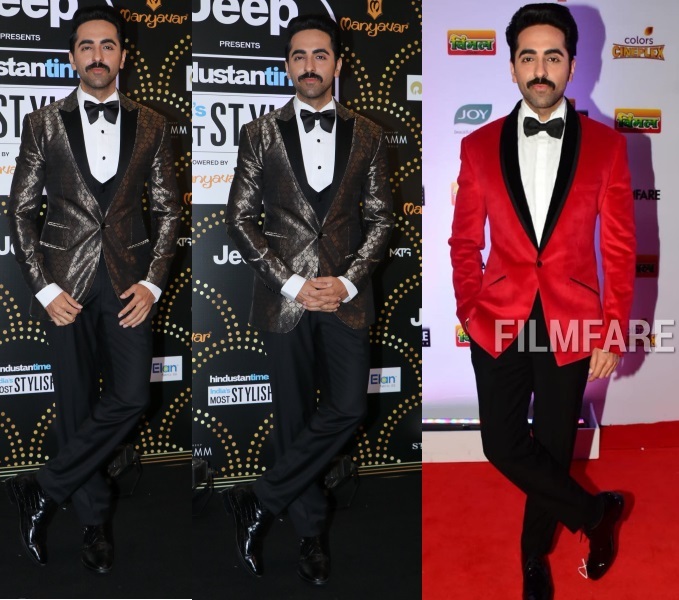 Ayushmann attended the HT Most Stylish and Filmfare Awards and was seen opting for a bow-tie suit at both events. Between the two, have a favorite? 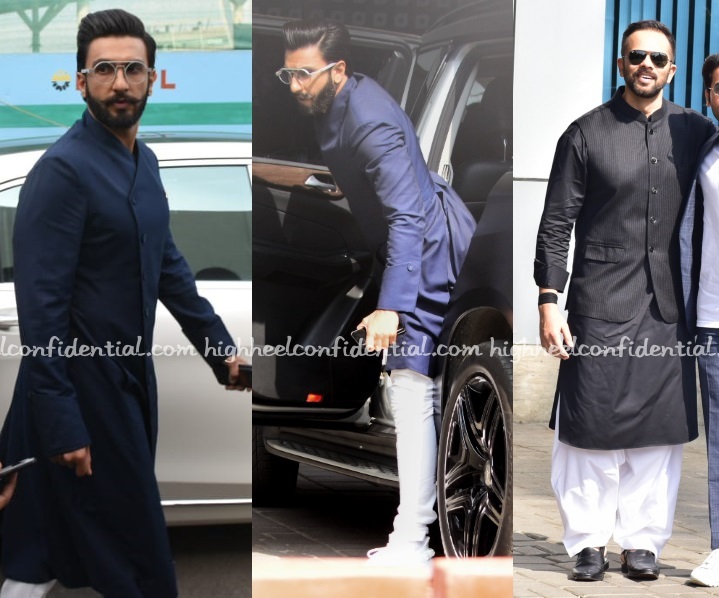 The brocade Rohit Gandhi + Rahul Khanna or the red Gaurav Gupta? I, for one, much preferred the brocade. At the Zee Cine Awards, these gentlemen opted for a classic bow-tie suit with Kartik keeping it basic and the others opting for embellishments. Have a favorite? P.S. 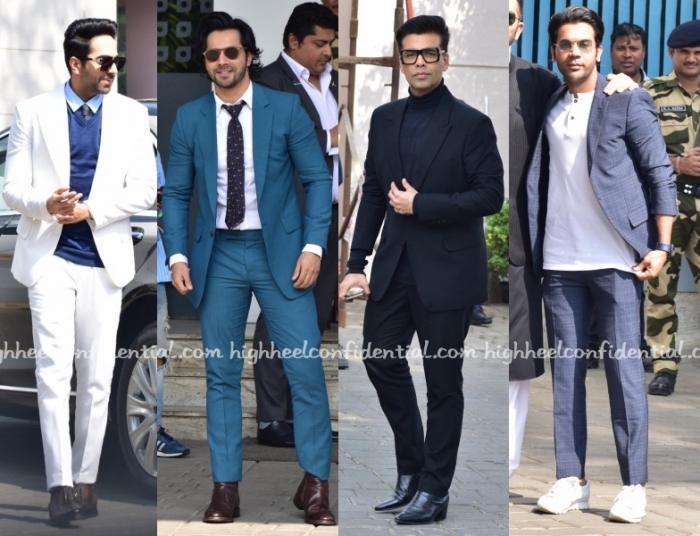 Vicky is in Amit Aggarwal, Ranveer in Rohit Gandhi and Rahul Khanna and Ayushmann in a Gaurav Gupta.